AbdulRazaq in a statement made available to newsmen said: “I congratulate all our lawmakers-elect for their deserving victory. Together with our people, we have fought a good and noble fight in defence of our people’s dignity. We have gone down in history as the breakers of the long-standing political jinx in Kwara. We have also proven that our people, with their massive votes for President Muhammadu Buhari, believe in good governance, probity, and decency. “Our feat is now being acknowledged across the world and that underscores the historical relevance of this development in our state. “But we mustn’t relent. It is not over until we repeat the same feat 100 percent on March 9 during the governorship and House of Assembly polls. Let’s continue to educate and mobilise our people to understand that the job is only half-done at the moment. Total liberation comes only when we take over the government in Kwara State through the ballot box and then use same to restore sanity and good governance in our state. 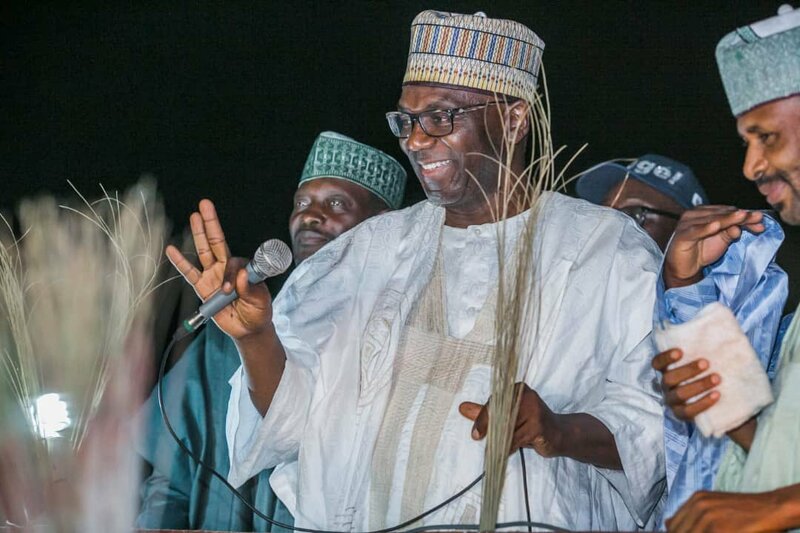 Meanwhile, The Director-General of Kwara People’s Democratic Party’s (PDP) Campaign Organisation, Prof. Abubakar Sulaiman, has described as outright falsehood a report credited to him that the Senate President, Dr Bukola Saraki had conceded defeat in the last Saturday’s Kwara Central senatorial election. Sulaiman in a statement said he had neither spoken with the author of the report, Arowona AbdulAziz nor issued a statement on the position of Saraki and the PDP on the outcome of the National Assembly elections in the state. He added: “If anything, I align myself with the position of the PDP’s agent at the collation centre for Kwara Central senatorial election, Hon. Isiaka Magaji, that we noted that the election was characterised by electoral malpractices in some polling units across the four local government areas in the district. ” Magaji made it known to the INEC returning officer in the district, Professor Oluwole Olatunbosun, that PDP agents at each of the four local government areas of Kwara Central senatorial district discovered massive fraud in the collation of results at the local government areas. “Meanwhile, we are still studying the outcome of last Saturday’s elections in the state and we shall make our position known soon.